Born out of a parent’s desire to find a safe disinfectant that would not compromise their son’s immune system disorder, Clean Well’s products are a safe alternative to sanitizers that not only disrupt the environment, but pose a threat to your family’s health as well. Made from a unique blend of thyme and other plant oils, Clean Well’s all-natural hand sanitizers and soaps kill 99.99% of germs on contact, without stinging alcohol or other harsh chemicals. Free of triclosan, a proven endocrine and hormonal disrupter found in over 76% of liquid soaps and 26% of hand sanitizers, Clean Well products are safe for babies, pets and the environment. Available in full and travel-sized sprays, wipes, and foams, these soaps and sanitizers are a perfect way to keep your family and the environment healthy. Purchase them at Whole Foods and Target Stores. Visit cleanwelltoday.com for more information. Based on the motto “Think globally, act locally,” Family Green Survival is a program that asks its members to eat green to keep mindful of the impoverished in developing countries. Founder, Gopal K. Kapur writes, “Family Green Survival is designed for participants to show deep personal commitment to ‘green living’ and to develop empathy for the world’s low income and poor population.” Over a billion people in the world consume just 800 to 1,400 calories a day, a drastic difference to the average 3,500 calories that Americans take in daily. Members strive to “eat green” just one day a month, which includes choosing raw foods that have been locally grown and minimally processed, refraining from microwave, oven, stove, fire, or barbecue use for the food’s preparation, and drinking only water from the tap or fresh-squeezed juices. Membership to Family Green Survival is free, however, participants are asked to donate $25 a year to their favorite charity. To learn more or to become a member, visit familygreensurvival.com. Folsom Pavilions Shopping Center on Auburn-Folsom Road boasts one the area’s preeminent green sleep retailers. European Sleep Design is committed to providing customers with both a peaceful night’s sleep and peace of mind. Their eco-friendly mattresses are American-made from organic, chemical-free textiles certified by the Swiss Association Oeko-Tex’s Standard 100 – a stringent set of consumer safety guidelines. The absence of plastic foams, fillers or vinyl air bags equals a better-constructed, more comfortable bed. Modeled after innovative European furniture design, these mattresses rest on a flexible slat system instead of box springs, creating a virtually motionless night’s sleep. European Sleep Design represents a wide selection of sustainable furniture manufacturers who harvest their hardwood from sources that are certified to meet a variety of environmental standards set forth by the Forest Stewardship Council or the Sustainable Furniture Council. 916-989-8909, sleepdesign.com. Looking for a place to get away without the burden of traveling or harming the eco-system? The Albert Shafsky House in Placerville is just the place. 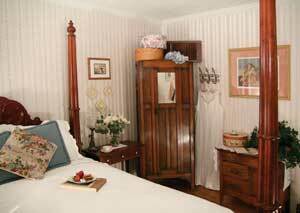 Guests will likely find the Queen Anne Victorian themed rooms just as enchanting as the romantic Historic District where the house is located. A member of the “I Stay Green” group of hotels, the local B&B qualified for the Green Eco-Leaf Rating after an audit of their property’s compliance with over 70 unique eco-initiatives such as energy efficiency, water conservation, recycling and environmentally safe cleaning, to name a few. 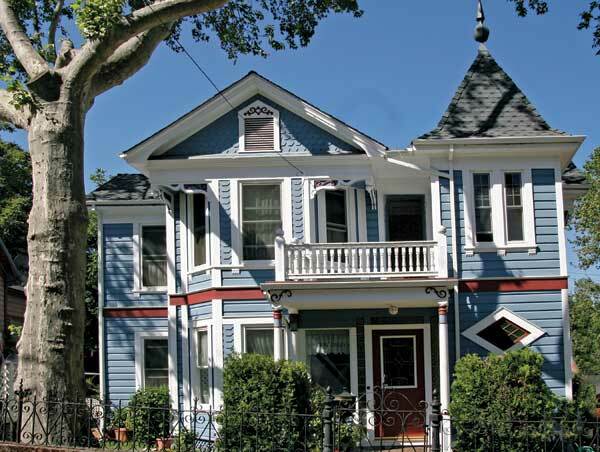 Albert Shafsky House Bed & Breakfast employs 27 eco-initiatives. Innkeepers since 2002, Rita Timewell and Stephanie Carlson left their fast-paced lives in San Francisco for the quieter charms of the Foothills. They share a belief of doing their part to maintain an eco-friendly environment. They greet visitors upon check-in with El Dorado County wines and serve a gourmet breakfast of locally grown ingredients each morning. The Albert Shafsky House Bed & Breakfast provides a tranquil place to escape, while still staying close to home and promoting local sustainability. shafsky.com.